Unfortunately for us, China had a very long period of civil war and conquest which disrupted medical and dental research and perhaps other breakthroughs. Who knows what else they could have come up with! 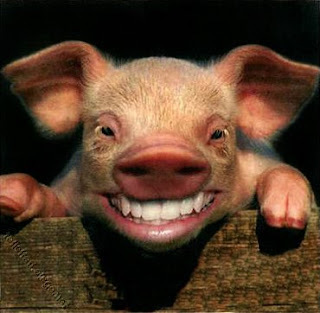 Pigs were domesticated as early as 9000 BC! “Ancient History Of Dentistry.” Ancient Pages, Ancient Pages, 22 June 2018, www.ancientpages.com/2018/06/22/ancient-history-of-dentistry/. Animals, A-Z. “Pig.” A-Z Animals - Animal Facts, Pictures and Resources, 10 Sept. 2018, a-z-animals.com/animals/pig/. Hello again everyone! It occurred to us that after the lecture on Periodontal Disease last month, it might be a great idea to talk about prevention. Today we will go over dental Hygiene 101, the best practices, and some useful tools to keep your mouth as healthy as possible between your professional cleanings.